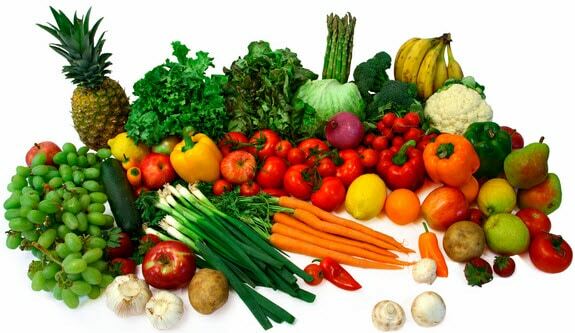 It’s a well know fact that we need fresh and healthy foods to be healthy. Food is important part of our lives and we can’t have a healthy body without a healthy food. It’s the same thing with our memory. Your brain requires good nutrients every day, just like your heart, lungs or muscles do. Here are six cool infographics that can help you to eat healthier. Just try it – what do you have to lose? We know it’s hard, but it’s definitely worth it! 1. Make sure your body gets enough water through different foods you can eat, such as iceberg lettuce or green cabbage. If you don’t like that, go with strawberries. 2. 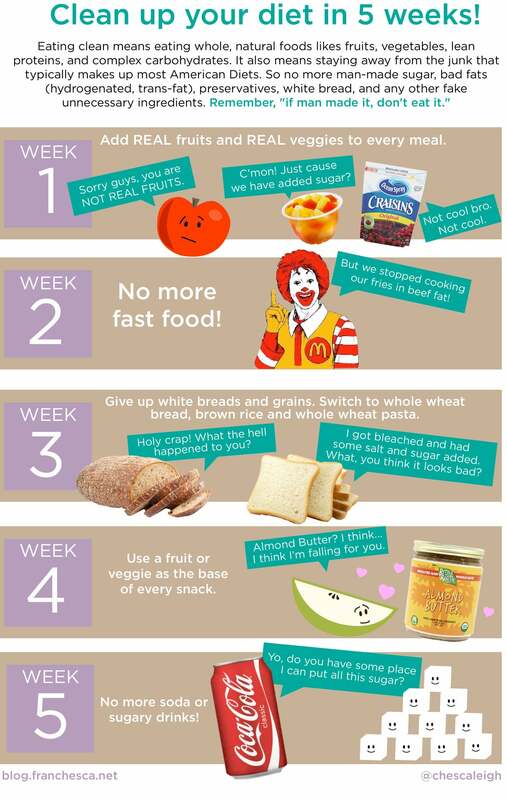 Here is how to clean up your diet in just 5 weeks. Step by step and you will completely stay away from the junk most of us have in our diets. 3. Here are 12 simple food swaps that make healthy eating easy.For example, instead of french fries you can try baked sweet potato fries. You will be surprised how tasty these are. 4. 8 Tips For Healthy Eating. 5. Best way to make a smoothie! It will be delicious! 6. 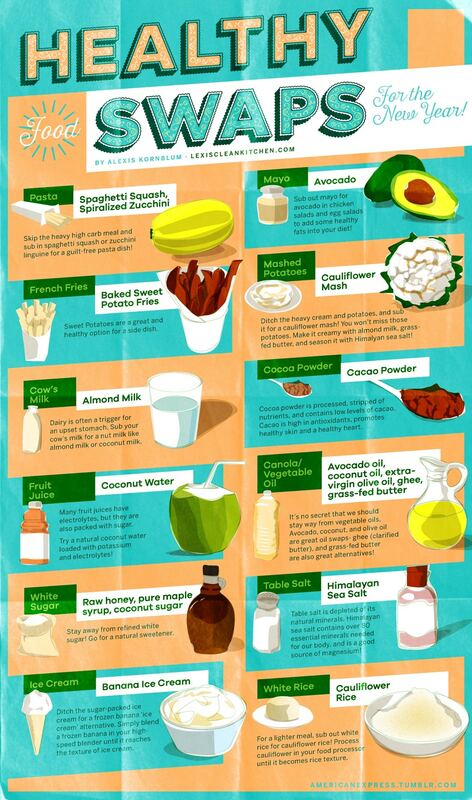 Find out which seven superfoods can help you live longer in this awesome infographic. Eat a good breakfast every day. Avoiding excessive carbohydrates and sugar, especially soon after waking. Completely eliminate trans fat. Your brain consists of good fats to protect your neurons. Trans-fat is the bad kind that will replace the good fats in your brain. This will severely hinder the functionality of your neurons. So, ditch the fast foods! Do you have some simple life habits that can help us improve our memory? Feel free to share them in the comments.